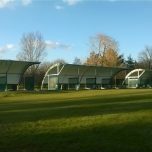 The Golf College based at Lindfield Golf Club in West Sussex installed a four bay and eight bay RangeBay to concrete in in October 2015. 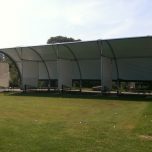 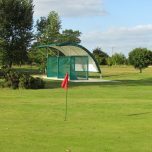 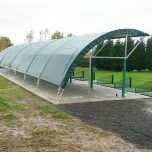 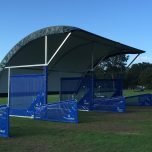 Paul Lyons head PGA professional AA (t) said "The installation of RangeBay has had a massive impact on The Golf College as we are now able to practice and teach outside no matter what the weather is like. 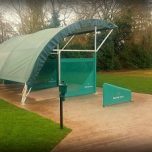 It looks spectacular and very professional"
A 2 bay RangeBay was first installed at Letchworth Golf Club in 2014 but this was later expanded with the addition of another 2 bay in 2015 and a 4 bay in 2016. 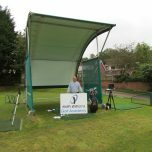 Tony Pohlman said: "Letchworth Golf Club are delighted with the RangeBay practice units manufactured and installed over the 2 years. 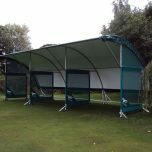 The product is well designed and engineered with good built quality and supplied at a competitive price which is so important to the golf market as most golf clubs are not finding it easy and can only compete for members by offering the best facilities".